As part of the 10th Anniversary of Melbourne Magic Festival, held at Northcote Town Hall, Meta Illusion from Korea is one of the international magicians to come out and perform the show to a sold out crowd! 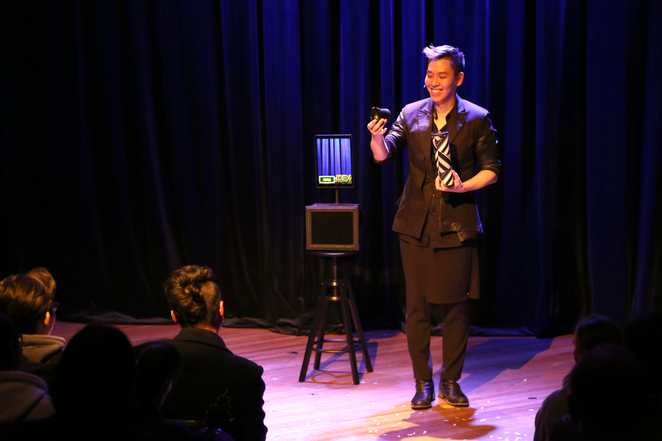 Better known as an Illusionist, E. G Lee is a celebrity back in his home country. Going by the two screaming Korean girls next to me, I figured that with his good looks and mesmerising magic that he must be quite popular in Korea! 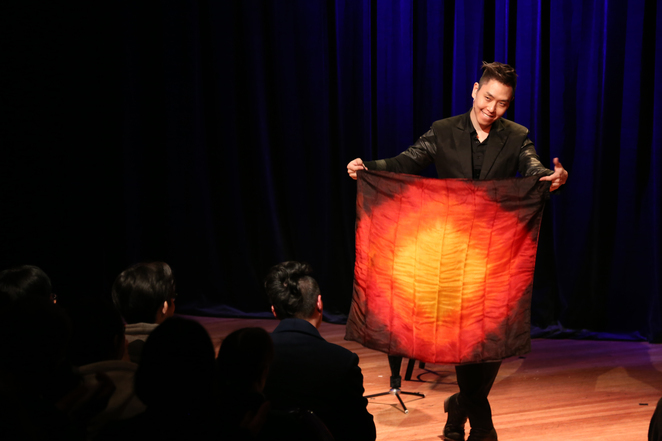 Working with flames, silk handkerchiefs and making continuous decks of cards disappear from one hand to another, I was trying so hard to figure out his secrets. With sleeves rolled up, there was nowhere he could be hiding a deck of cards! Meta Illusion likes to involve the crowd. 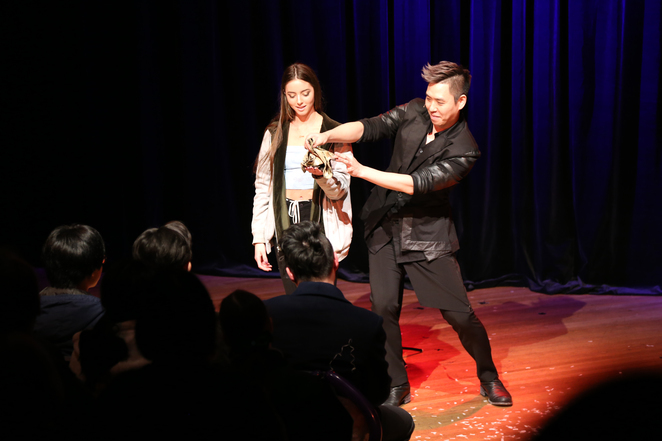 He had a young volunteer come up from the audience where he tied an egg to her hand. 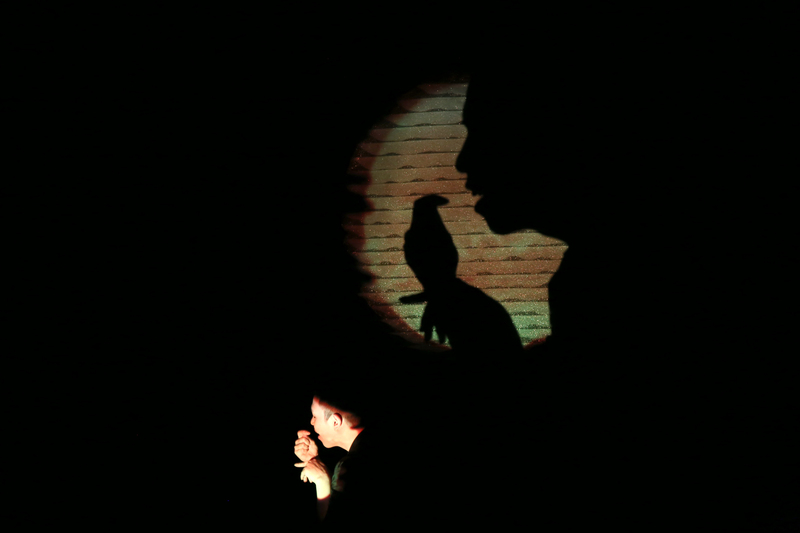 She had to pick a card, the audience could see the selected card but she had no idea what was about to hatch! I won't spoil it for you, you will just have to go along to the show and see! 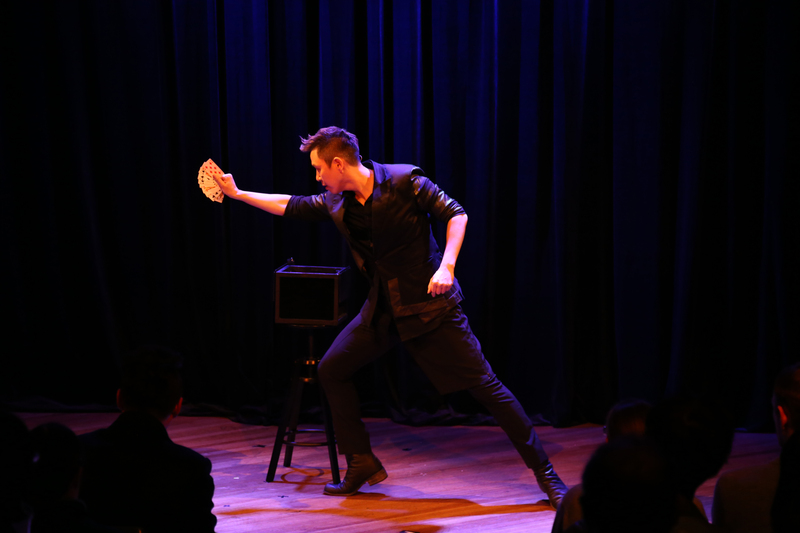 Alongside his range of magic tricks, a time machine and smoking vases which vanish into thin air, Lee performs extraordinary routines with his hands. With "Handmade Illusions", out comes a small box with the audience focusing totally on his just hand movements. 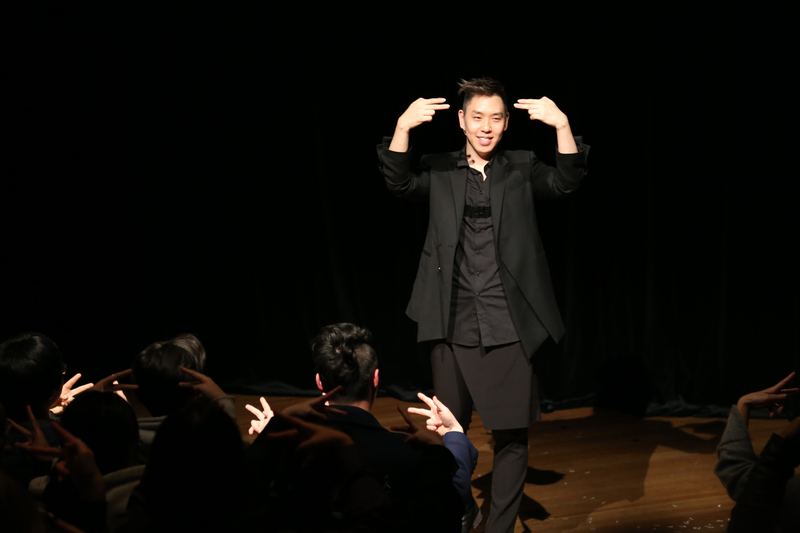 Practising the hand gestures with the audience, we soon realise that he has a unique gift and the fact that he has been performing magic shows since 1996 defines him from many other magicians, as his shows have a modern artistic side. Lee went on a recent trip to Africa. He was inspired by the wildlife and the people and this gave him an idea to perform shadow puppets to the music of The Lion King. I must admit this was one of my favourite part of the show. He created anumals using just his body and hands... just magical!! 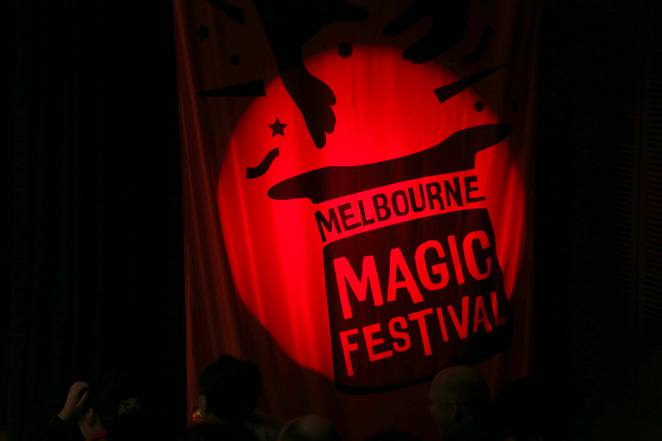 A great show for the whole family, children must be aged 9, so if you are looking to add some magic into your life, The Melbourne Magic Festival is the place to be these school holidays! Why? Top international guest magicians from all over the world!